HAPPY SUNDAY TO ALL 1003 MEMBERS OF BEARSHARES!! 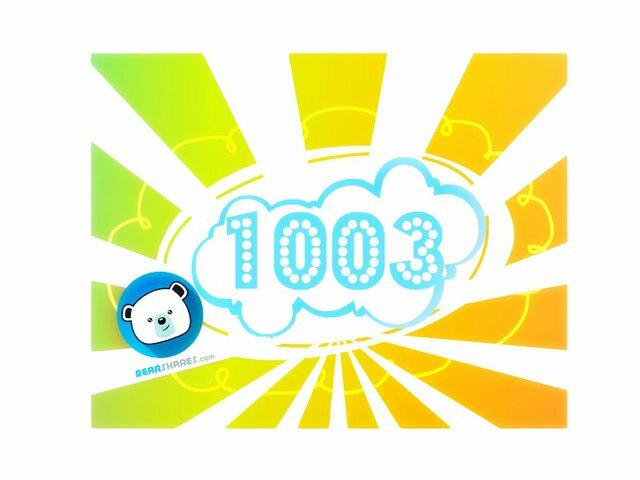 Good morning my Bearsfriends we passed the 1000 users ..
we are 1003 Bearshares members !! because together we can make Bearshares great. Remember my friends BEARSHARES needs PROMOTION. Talk to your friends at Bearshares. Invite people to Bearshares Discord. Make posts about Bearshares and share them on any social. Invite people to Bearshares.com via e-mail. When you publish on Bearshares then share the post on social media to make an indirect advertisement. Not sure what to write? Feel free to use my posts and my images, the important thing is to SPREAD the potential of our platform. In short, we can do so much for Bearshares all together and in addition you will receive 100% upvotes from @promotion and @mikitaly besides to the prizes related to the challenge. I count on everyone's participation because all of us together we Beashares. Nice work for your logos.